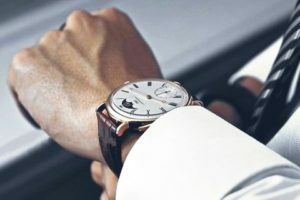 Look at any well-dressed man on the street, and odds are if you look close enough, you’ll see that he is wearing a sleek and elegant wrist watch. 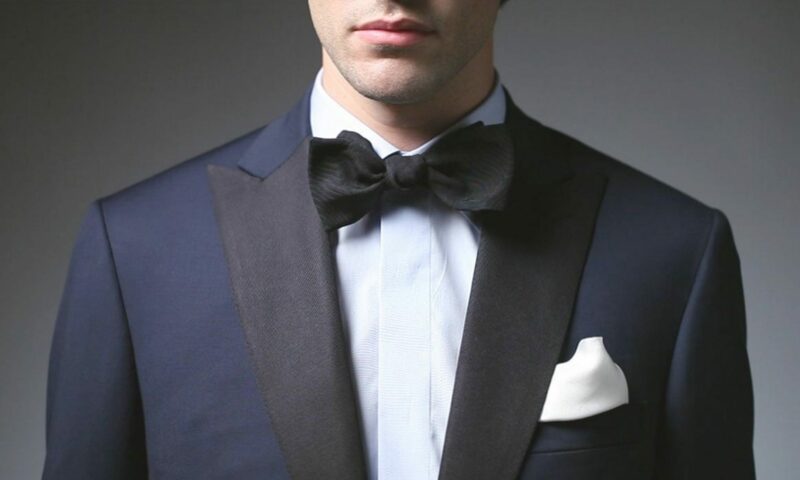 This often puts the perception that men’s watches only fit as the missing piece to a suit-and-tie ensemble. But in reality, men’s watches fit with any outfit you decide to put on, meaning it is definitely worth purchasing at least one of your own. In this article, we’ll explain just why the men’s watch will never go out of style. This beautiful watch is characteristic of most men’s watch. Did you know that wristwatches were originally regarded as a piece of jewelry exclusively for women? Recall that back then, the pocket watch was still very prominent, and this is what men preferred over wristwatches. The reason for this preference was mostly because watches were very susceptible to moisture, temperature and dust, all of which could mess with the intricate inner design of the watch. Because men typically held positions in the military and government, they felt the need for more accurate timekeeping than women. Pocket watches kept the watch protected from the elements and was only taken out in brief spurts to check the time. But as is often the case, evolution in fashion was driven by new necessities. As war became more prominent in the late 19th century, when men needed all the hands he could get, they simply could not afford having a spare hand to take their pocket watch in and out. That eventually led to the “wristlet”, the first men’s watch that was held in place on your wrist. Back then, it was held in place with a leather strap and was quite beautiful! 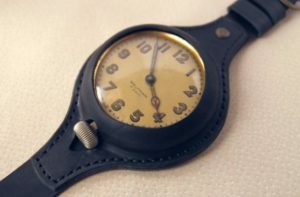 This vintage “wristlet” is derived of a pocket watch inserted into a leather strap. After all of the wars eventually died down, wristwatches had stuck for men, and in fact slowly became an increasing sign of wealth and sophistication. It took a while, but in the end fashion won out – the men’s watch started in a place of function-focused design, to where it is today with almost purely fashion-focused! We know that men’s watches provide an outlet for you to express your inner fashion sense, as all watches today look good to varying extents and can enhance any wardrobe. But other than the fact that men’s watches simply look good on us, what other reasons are there for wearing one? Unsurprisingly, watches provide much more value than being a fashion statement. Like we mentioned above, a beautiful wrist watch will symbolize wealth and sophistication. The reality of today’s society is that we humans judge each other not just by our physical traits like height, weight and physique, but also by the clothing and accessories that we wear. It is no longer enough to just be in good shape and be physically attractive. You also need to surround yourself with accessories and clothing that act as social signals to supplement physical traits, and wrist watches do just that. Back when pocket watches really blew up a few centuries ago, they were an extremely powerful social signal simply because they were so expensive, and only the richest of the rich could afford one. 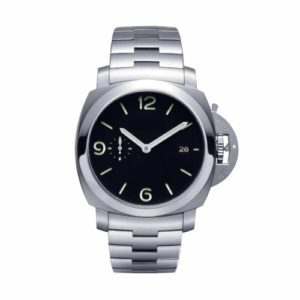 However, today, while the social signal of wearing a watch is still present, there is now a wide price range for watches that for the most part provide the same signals. In other words, even without a vintage Rolex, a nice-looking watch can go a long way to showing you are sophisticated and worth someone’s time. Wearing even just a half-decent watch makes you look more sophisticated and therefore more desirable. While wrist watches only have one function, they do it exceptionally well. Despite the invention of the smartphone, wearing a watch is a much quicker way to check the time. Ironically, the comparable option of using your smart phone to check the time mimics how men used to use pocket watches back in the day, with us constantly having to bring out and put back our phone every time we want to check out the time. Wrist watches have evolved from that and therefore remain the clearly superior option when focusing specifically on keeping time. Also as an added bonus is the fact that the very act of bending your wrist to check the time looks classy in and of itself. Therefore you are able to achieve a certain function in a classy and sophisticated way. Lastly, wrist watches remain the quintessential symbol of being a man. They are timeless and every time you put on your watch in the morning, or glance at your watch throughout the day, you will feel empowered. They give you a sense of control with your life, by literally presenting to you time itself. And with the fashionable element that men’s watches have evolved into, they give you the confidence you need to go out and succeed at life. While it might sound odd to think that a watch can provide you with confidence and help you succeed at life, I challenge you to go out and buy one yourself and see how it changes your mindset and your personality. You will immediately see the difference, especially after people constantly compliment you on your watch. They will see you as a new man, and as a result you will see yourself as a new man too! Never neglect the power of a good watch! Watches are timeless and are absolutely invaluable to the men who own them. There’s a reason Rolex watches are still selling for thousands of dollars at minimum. While coming from humble beginnings, the watch has evolved from a function-based design to a fashion-based one. And in addition to being good looking in and of itself, watches remain highly convenient and functional at the same time. Add in the fact that they are a great social signal to others around you and help you feel confident in everything you do, and you can see why truly every man should own their own watch. Luckily for us today, there are watches available that fit any budget, allowing just about anyone to reap the benefits without placing a huge dent in your wallet. So if you are ready to not just make a fashion statement but literally change the way the world sees you, go out and buy a new watch today!